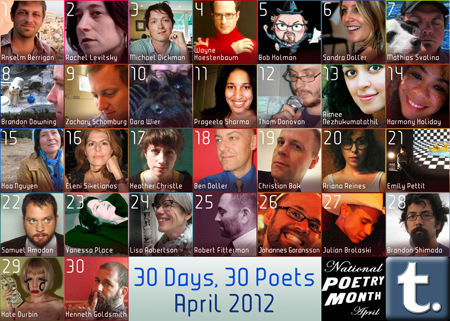 I’m one of those 30 poets who is going to take over the Academy of American Poets Tumblr feed. Here is what’s happening on it right now. My day is April 9.